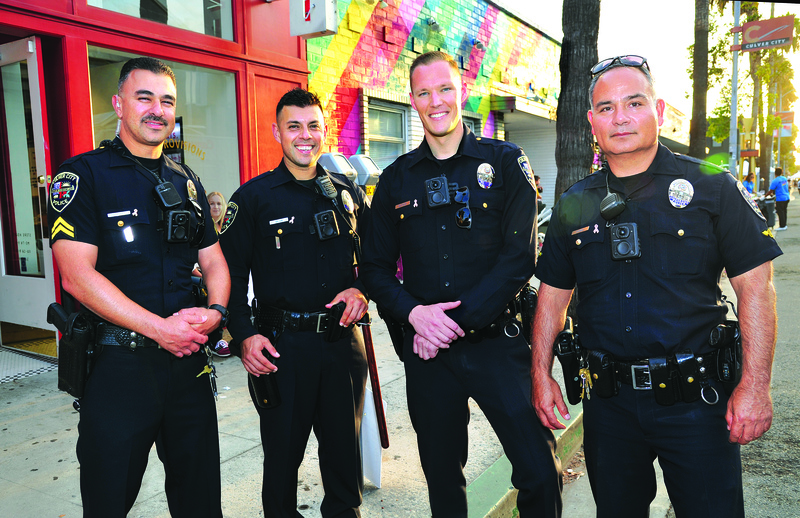 Culver City police were a force of four at the recent Art Walk and Roll Festival in the Helms Baker District. From left are officer Eddie Baskaran, PIP leader Ruben Silva, Detective Billy Kutylo and Sgt. Robert Garrido. The Oct. 6 event featured a self-guided tour and celebration of art, culture, food, music, and community.